WASHINGTON, D.C. — St. Martin’s Episcopal Church was the site of Wednesday’s memorial service for former President George H. W. Bush, a Republican and father of six, including his eldest son, President George W. Bush. 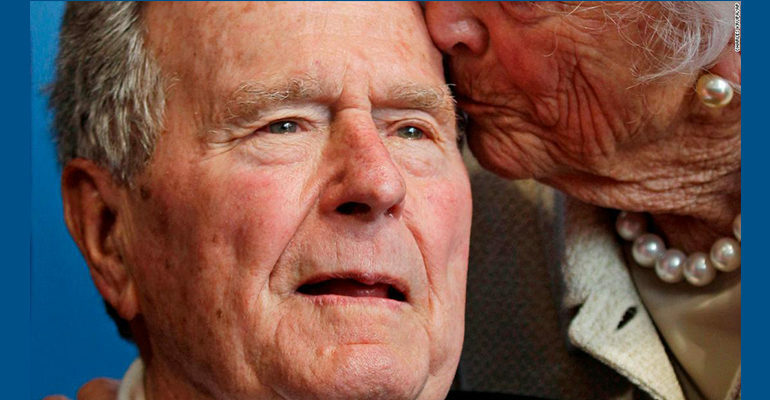 Bush, 94, the nation’s 41st president, had been battling several diseases in recent years, including vascular Parkinson’s Disease, bronchitis and a blood infection. He died on Saturday, Dec. 1. The former president had been suffering since the death of his wife, Barbara, in April. A funeral service took place Thursday in Houston. Bush was buried alongside the former first lady and his late daughter Robin, who died of leukemia as a child, at his presidential library in College Station, Texas. Thousands had previously paid respect to Bush on Monday and Tuesday as he lay in state in the U.S. Capitol Rotunda. Bush won the presidency in 1988, defeating Democratic opponent Michael Dukakis and becoming the first sitting vice president to be elected president since Martin Van Buren in 1836. His single four-year term as president was an eventful one. In 1990, he vowed to oust Iraqi forces from Kuwait and launched the first Persian Gulf War, building an international coalition including more than 400,000 American troops. Two significant legislative achievements included the Clean Air Act amendments signed into law in 1990 and the Americans with Disabilities Act that same year. 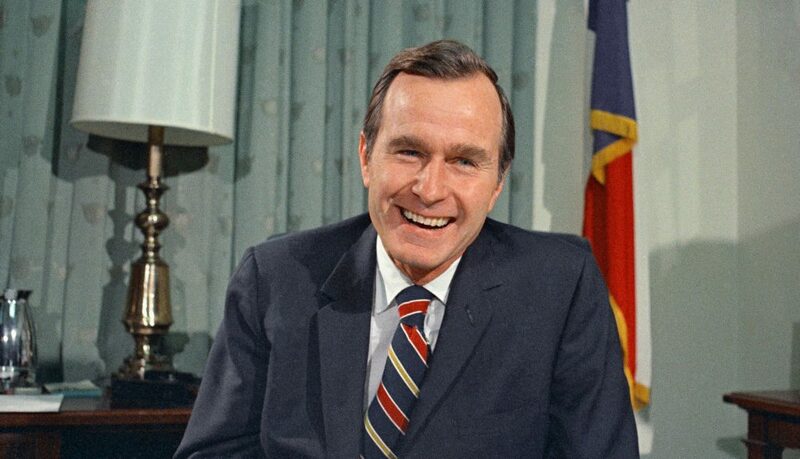 Bush lost re-election in 1992 to then-Arkansas governor and Democrat Bill Clinton, who received 43 percent of the popular vote to Bush’s 37.5, while independent candidate Ross Perot earned 18.9 percent.